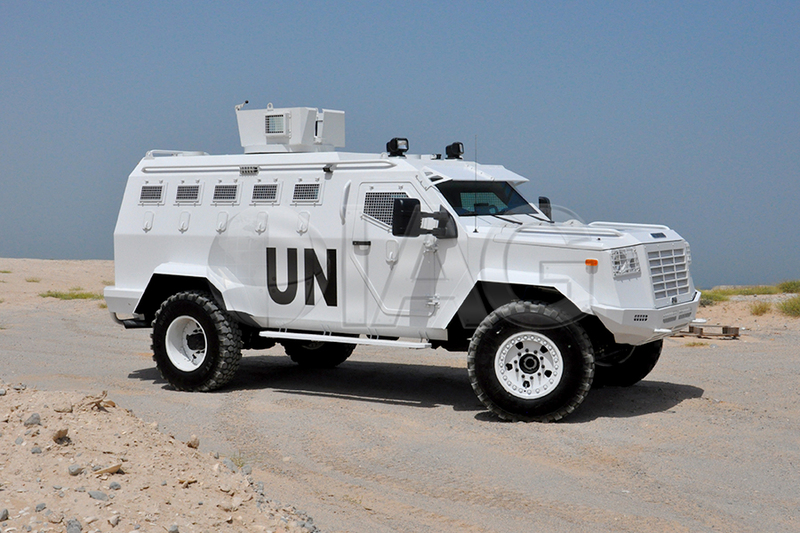 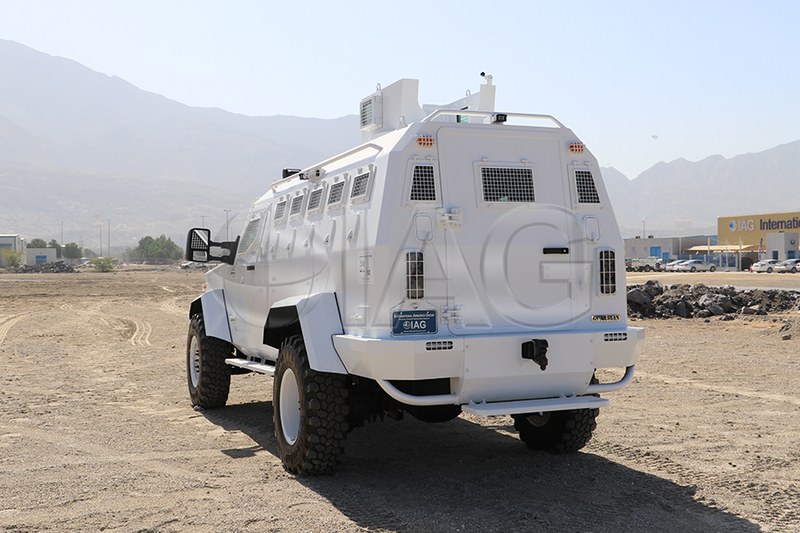 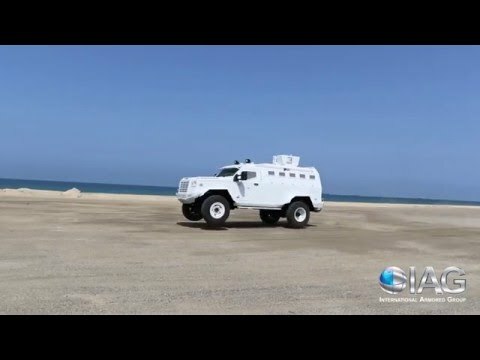 With the immense success of the IAG Guardian APC over the past few years in different overseas markets and variations, IAG is proud to introduce the IAG Guardian XL APC, a vehicle that not only provides a high level of ballistic and blast resistance, superior handling and off-road capability, commercial part compatibility resulting in low maintenance costs, but also now with a larger seating capacity and the ability to design and engineer a fully customizable layout as per the clients’ requirements. 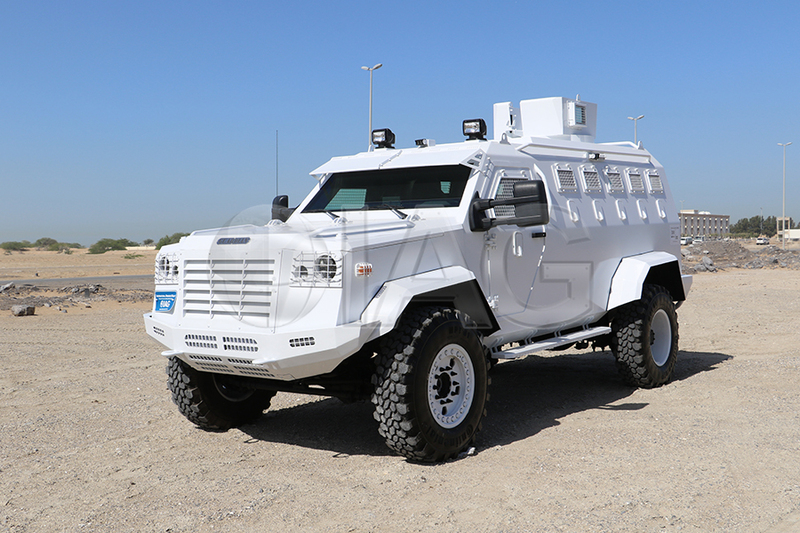 Like the Guardian, the XL version is fully armored to defeat multiple hits from high power rifles and light machine guns, as well as provide superior blast protection. 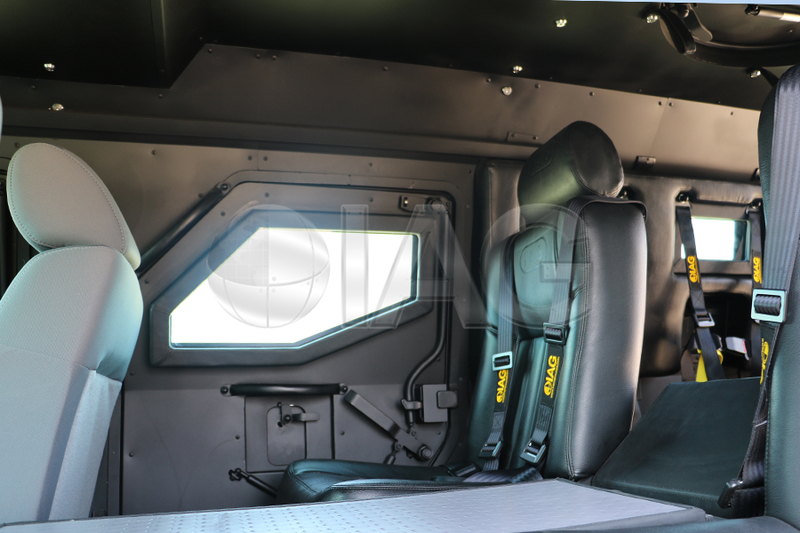 The optional rotating turret system with view windows can be mounted to the roof escape hatch for additional firepower, with custom mounting solutions for light and heavy machine guns available. 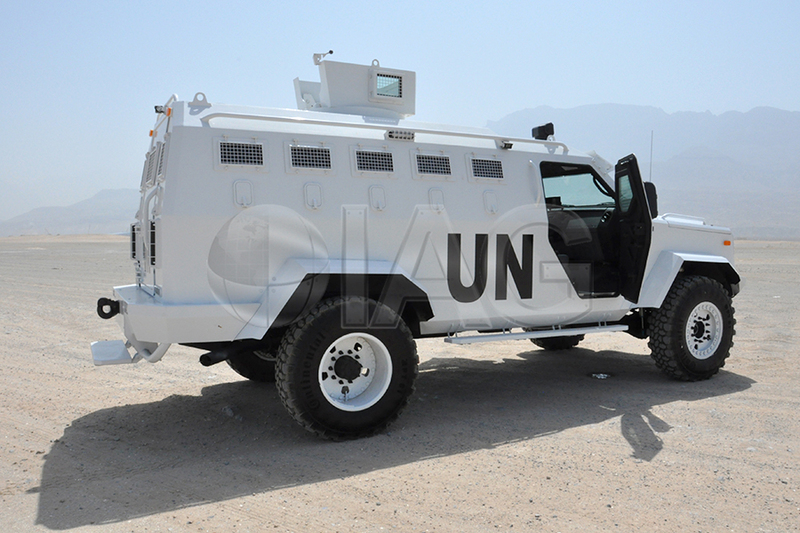 The suspension and braking systems have been upgraded for extreme off-road handling as well as support the armor weight plus payload. 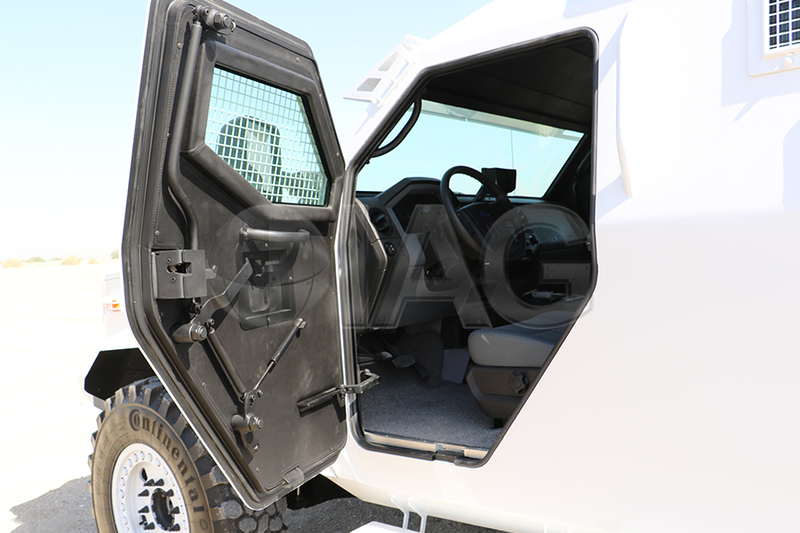 The high capacity wheel and tire assembly also feature a built-in run-flat and bead lock system. 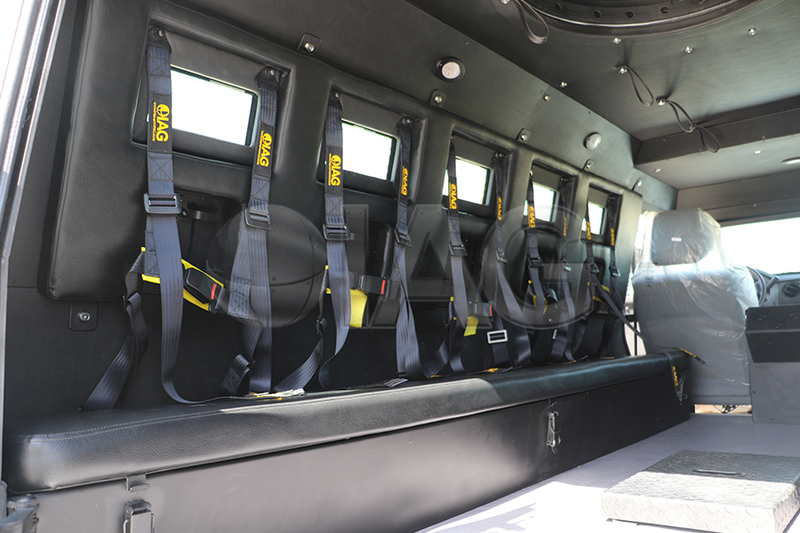 Please be advised that the IAG Guardian XL is available to Government, Military and Law Enforcement only.